Game 8 – bonus edition! Game eight really was a shocker and it was certainly a challenge for your blogger to pick the right tweets to create a comprehensive twitter report. 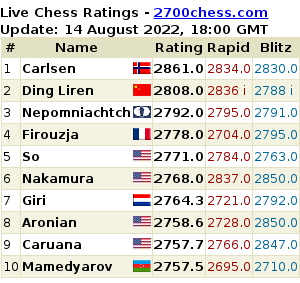 I ended the previous blog post with some Tarjei statistics after the last move was played, but the tweetflood after the game was over did not stop. I spotted many remarkable and emotional post-game tweets. Here is a selection. @nf3nc6: “MC with his behaviour, disregard for others & arrogance, probably does not deserve to hold such a Classy Title as Chess WC”. @reachvsara: “WCh ’12 Moscow. Vishy lost game 7. He stayed back for Press Conf. Answered more questions than oppo. Just saying”. @sirgeorgethomas: “Anand had to suffer at the press conference in a dignified silence after losing but Magnus is too busy crying”. @Eilert: “Until today I was proud to be Norwegian in the world of chess. Now I feel the urge to apologize to every other nation”. @kajasnare:“You should know @MagnusCarlsen waited at the press conference for several minutes before he left because it took a long time for it to start“. Anyway, not appearing at the press conference will cost Magnus some pocket money: @TarjeiJS: “So Carlsen’s failure to appear at the press conference will likely lead to a fine of 60K or 40K Euro depending on who wins”. @MartinChess: “Let’s face it: the result yesterday was the best thing that could happen to the match”. @brigosling: “The mark of a great player is in his ability to come back. The great champions have all come back from defeat”.